Mandi 1-1-25517-21: Buy Tamaris Boots online! For women who are looking for elegance and class, these high-heeled, long boots from TAMARIS are essential. They have an elegant curve which is particularly achieved through the high qualityof its leather. A subtle buckle makes the shaft really dazzling. Thanks to the removable soles, the shoes can be perfectly adapted to the wearer. The Anti-Slide function prevents from unwelcome slipping. 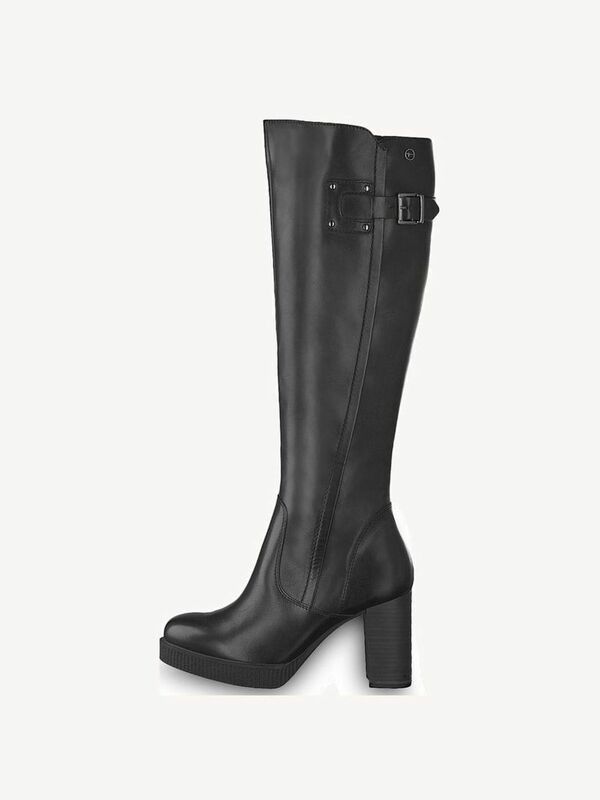 These trendy boots can be worn in everyday occasions, at work or on a chic date. They will certainly enhance any outfit.